I watch what kids are doing today with robotics and am ceaselessly impressed. I can’t imagine doing such things at that age, yet we had computers in my Montessori classrooms and I helped my teachers and parents with things they never could have imagined at that age, either. I guess it’s just the way it goes these days? 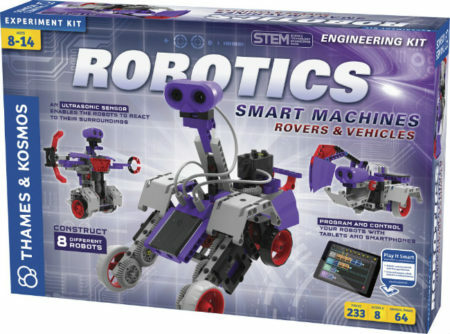 I know that these kits are geared to these young kids, but I will admit I would also love to get my hands on some to see if I can teach this old dog some new tricks.